Warm up or cool down. 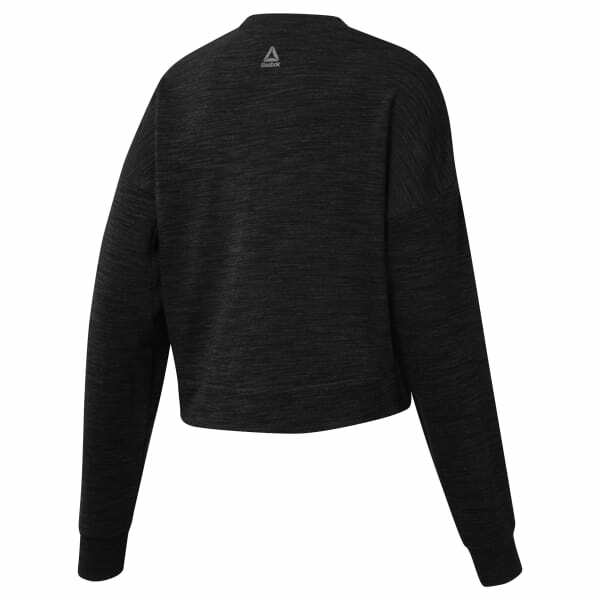 Cozy and loose-fitting, this women's sweatshirt comfortably layers over your gym clothes. The French terry pullover has a subtle mélange look with ribbed details under the arms for an unexpected accent.